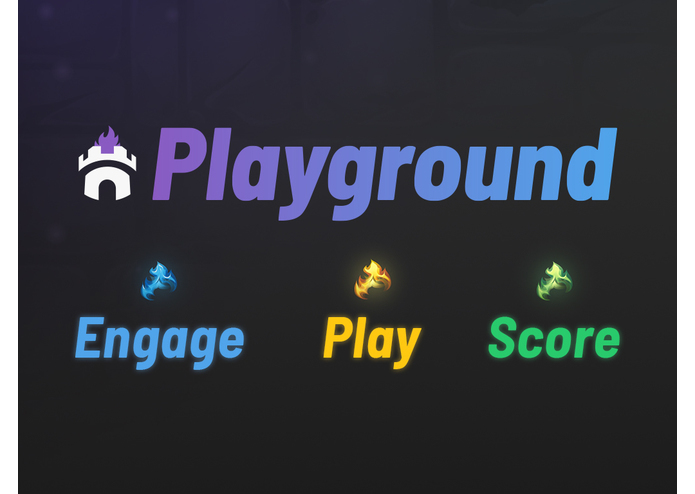 Playground is the ultimate audience engagement extension. 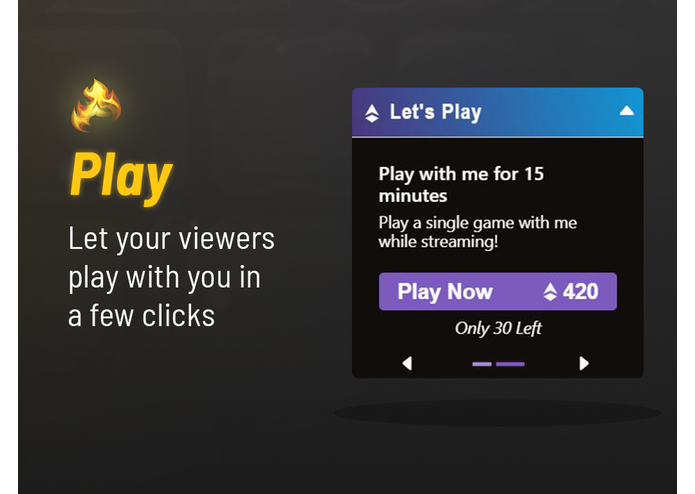 Create custom engagements, and let viewers contribute and participate in your stream. Share the love and give your viewers the recognition they deserve when they contribute to your channel! 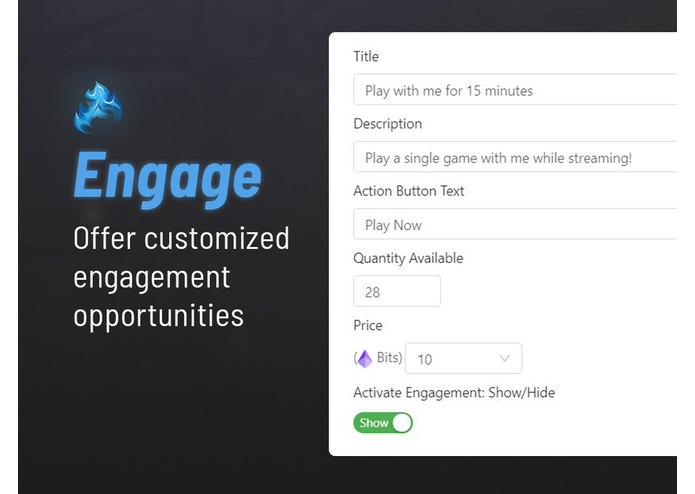 Chat Capabilities: Upon completing a successful engagement, a message will be automatically sent to your channel. We are using React.js for the front-end And Node.js for the EBS + MongoDB, on AWS ec2. 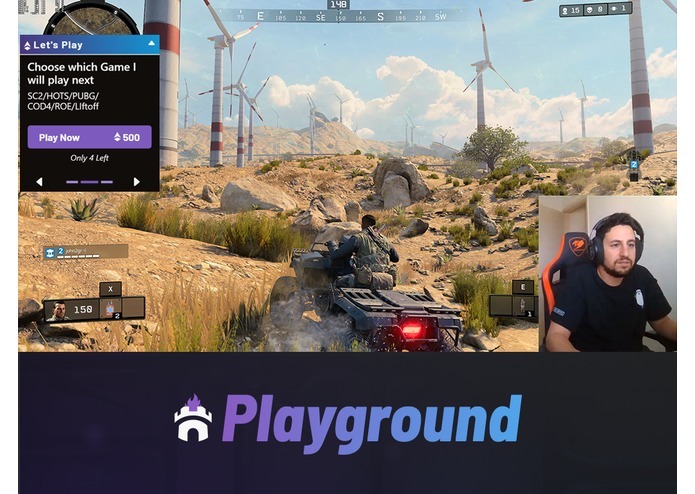 Streamers like the products and keep using it! 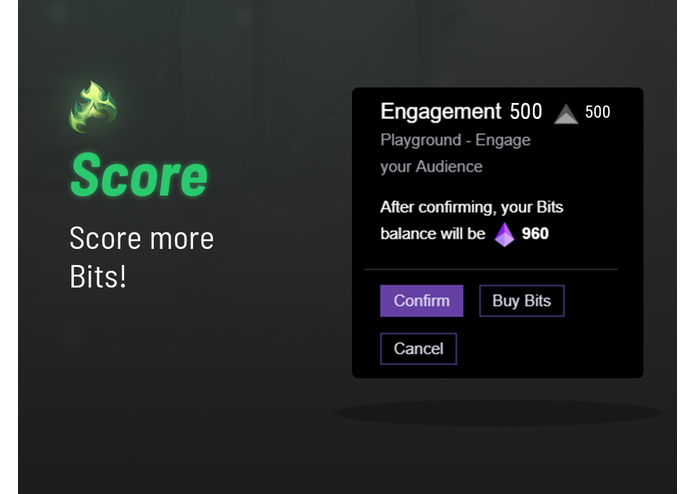 More features are coming! Bidding, voting and more! - requested and driven by our community.